I’m now in phase two of my leather project. Phase one was to make a cow whip out of pre-cut kangaroo lace. This project was very instructive. I ended up with a 6ft whip that would be better suited as a belly for an 8ft whip. The diameter of the whip is small because of how thin the roohide lace is in comparison to the #650 nylon I use. In spite of its small size, it’s still a great little cracker. Someday, I’ll plait another layer of roohide over it and it really will make a great whip. With the arrival of my new Dene Williams hand held leather splitter on Saturday, I’m now one step closer to going into full blown leather cow whip production, this is phase two of the project. Once my copy of Bernie Wojcicki’s whipmaking DVDs arrive, it won’t be long until Kelley made leather cow whips are a reality. Notice I keep writing “cow whips” and not “whips” in general. 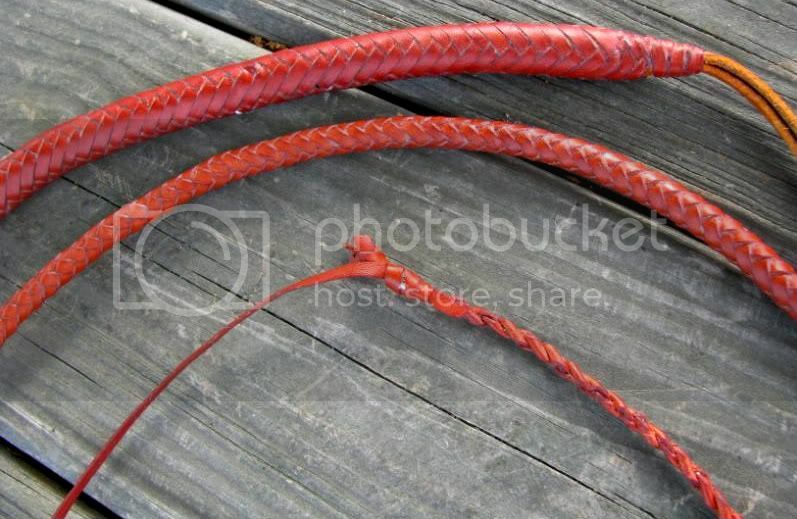 At this time, cow whips are all I plan to make in leather. Other kinds of whips may come later on down the road, but for now, this project is all about resurrecting the leather cow whip and not much else. Phase three of my leather whip project will begin in the late Summer, or Fall, of this year. This is when I plan to begin making my own buckskin so I can make authentic buckskin cow whips. As I’ve stated before, buckskin was a very common leather used for cow whips before the advent of nylon. Nowadays, it’s hard to find a plaiter who still uses buckskin. As an art form, I’m afraid that in another decade, it may be all but extinct if someone doesn’t continue it and pass it down to future generations. I may be overreacting a little, but at this time, I don’t personally know a single plaiter who makes buckskin cow whips. 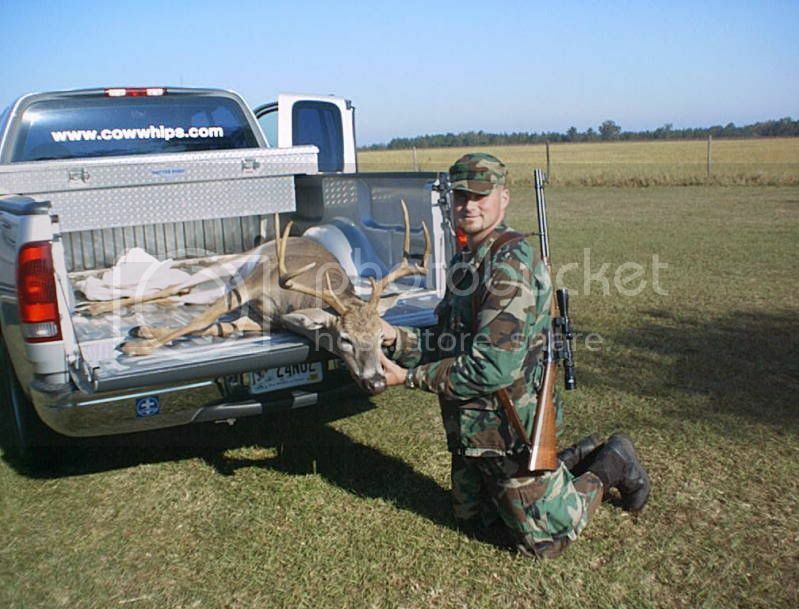 Again, this phase won’t/can’t begin until later this year because deer hunting is not in season at this time. Hopefully, I will be able to get a permit from the Dept. of Natural Resources to cull some deer when they begin eating up the cotton/peanut field behind my house. If not, I’ll have to wait until October when season reopens to get the deer. In the meantime, I’m going to be studying all I can on the subject of tanning and trying to get the equipment I’ll need to do the job. This entry was posted on Monday, April 13th, 2009 at 5:14 am	and posted in Leather whips, Projects. You can follow any responses to this entry through the RSS 2.0 feed.